What does the kid think the distributive property is? It’s easy to say: “Well, I’d avoid this mistake in my class by teaching the distributive property correctly.” Well, what’s the wrong way to teach this thing, then? 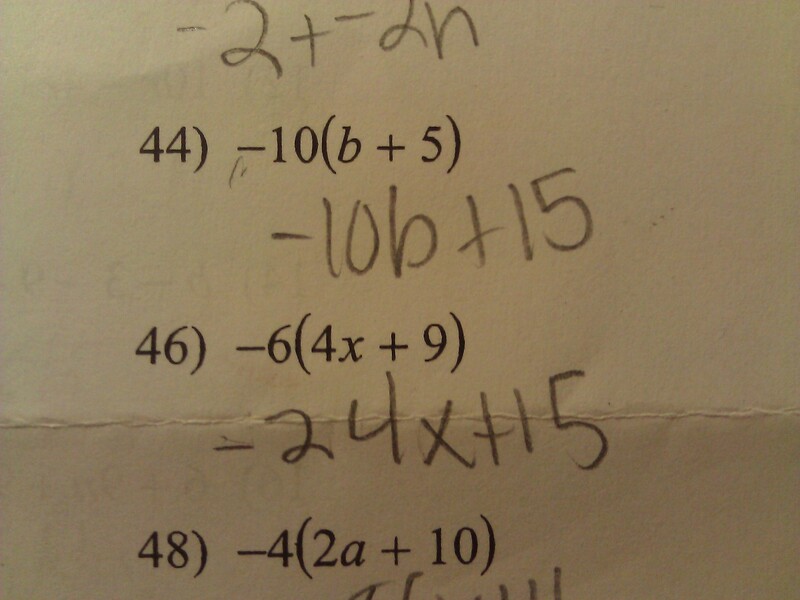 What’s the smartest possible way to teach this, and still end up with your kids making that mistake? After you’re done writing an awesome comment to this post, go check out Josh Weisenfeld’s blog. He spotted and submitted this gem of a mistake. Posted in Arithmetic, Distributive Property, Expressions & Equations.